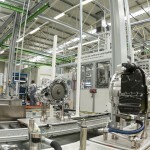 The Daimler branch in România, Star Transmission, expanded the production capacities from the Sebes factory by founding a new arm where they will manufacture the modern 9-speed automatic gear boxes, starting 2016. 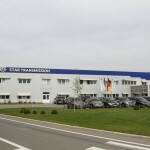 Founded by the Saschsen collonizers in Transylvania ever since the second half of the 12th century, the Sebes municipality is currently an economical center with a dynamic economy going up thanks to the many foreign investments made during the last decade in the wood, garment and leather industry. 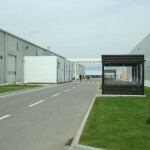 Holzindustrie Schweighofer, Kronospan, Grande Arredo are among the most important investors in the wood industry, Romaqua invested in the new body of production for the Albacher beer and one of the biggest icecream factories in Romania, Alpin 57 Lux, also works here, together with Pomponio, an important manufacturer for concrete and precasts in Ardeal. 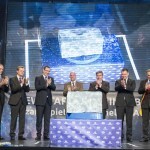 For this economical triumph, the existence of an industrial platform and the development of the causeway infrastructure that connects Sebes to Nadlac, placed at the western border between Romania and Hungary, went a long way. 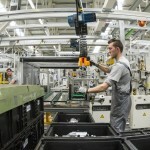 In this economical circumstance and having the Kecsemet enterprise from Hungary close, in which they invested a billion euros for the manufacturing of the new CLA and B-Class models, Daimler decided to consolidate the investments in the area. 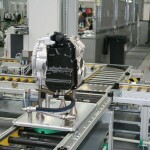 Daimler collaborates with the mechanical enterprise in Cugir ever since 1996, when parts for the first generation gearboxes of Mercedes A-Class were being built there. 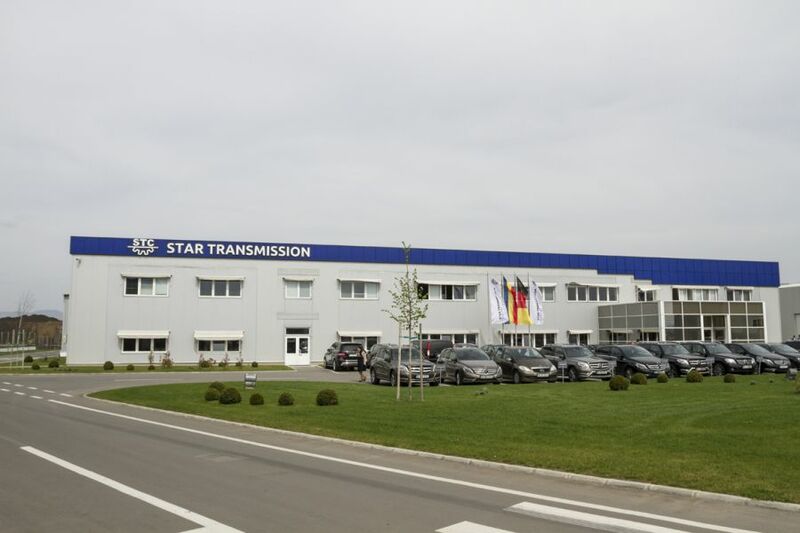 In 2001, Daimler started the Star Transmission Cugir co-association for the manufacturing of cogwheels and parts for Mercedes and other automotive brands in Europe. 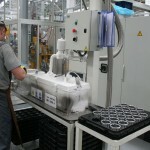 Subsequently, the enterprise expanded in Sebes. 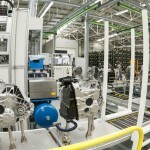 Inside the new division for the assembly of the 7-speed automatic gearbox with a double clutch, 95 men and 20 women previously schooled in Mercedes in Germany, work in two shift. 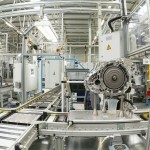 The executive of the 5 and 7-speed automatic gear boxes assembly division is a 30-year old Romanian, Nistor Gheorghe, who started as a blue coller in Cugir in 2001, at only 18 years old. 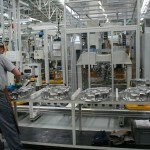 Nowadays, he is one of the youngest production executives in Mercedes. 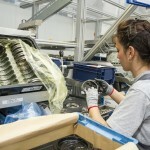 In the assembly division, the quality standards are identical to any of those in the Mercedes enterprises across the world. 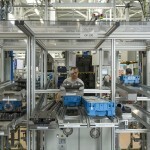 There are presence sensors in every work post and the robotization degree is as high as in any other Mercedes factory. 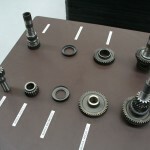 Similar to the assembly of an autombile in which the peak emotional moment is the engagement between the body shell and the drive train, the top interest moment is the engagement between the housing of the transmission and the cogwheels. 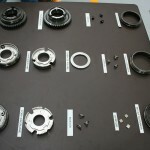 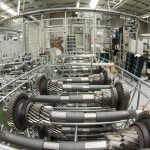 Several tests are run for every gear box. 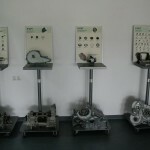 First of all, there is a density test, then there are the two final exams, the one for functionality and the dynamics and acoustics test, that simulate the activity in combination with the engine. 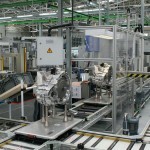 In April 2014, Mercedes took another step towards the development of production capacities in Sebes, groundbreaking the new hall for the production of the revolutionary automatic 9-speed 9 G-Tronic gearbox. 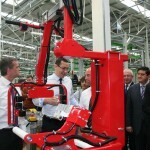 It is a new stage of the over 300 million euros investment rolled by Daimler in Romania, which will activate 500 more jobs, apart from the 1200 already existing. 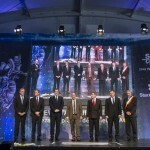 The main hall will be 43 000 sqm placed on a 72000 sqm land. 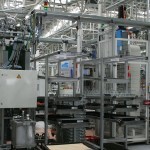 In April 2015, first equipments will be brought here and, by the spring of 2016, the manufacturing will gradually start, as the production and assembly lines will be tested and will become functional. 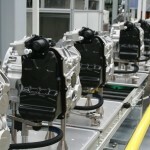 Starting 2017, the factory will function at its best and it will then have a 9-10000 gearboxes supply that could be delivered at any time given. 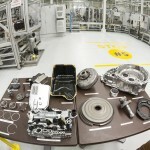 The new 9-speed automatic gearbox will be set up in all rear wheel drive Mercedes vehicles and will also allow coupling with 4-cylinder engines. 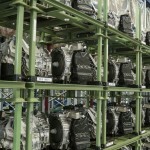 This will gradually replace the current 7-speed automatic gearbox. 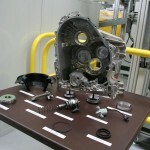 The gearbox made first appearance in the E 350 Bluetec and setting it up was extended in various versions of the E-Class and in the facelifted CLS. 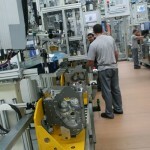 1994 – the businessman Ion Țiriac makes a partnership with Daimler in Rolem association, which used to make veneer inserts for the Mercedes models (the company was sold to Draexlmaier in 1998 and nowadays, it works for Mercedes, BMW, VW, Audi). 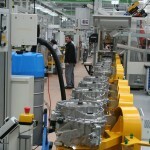 13th of November 2009 – Daimler takes over the 49% owned by the Țiriac Group. 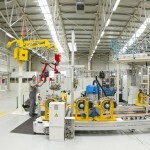 Therefore, Daimler becomes a 100% shareholder of the new Mercedes-Benz Romania SRL Society.